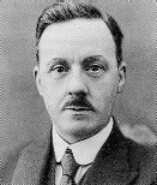 Perhaps the leading creative figure in the British silent cinema, Cecil Hepworth was the son of a noted magic lanternist and scientific lecturer T.C. Hepworth. 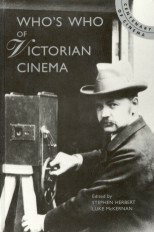 He first enountered films when he saw Robert Paul's Kinetoscope exhibit at Earl's Court in 1895. His inventiveness and knowledge of photographic and lantern techniques led to a varied career in the early film industry. On 21 July 1896 he was assistant to Birt Acres when the latter gave a royal command performance at Marlborough House. While writing for Photographic News and other journals he operated as a travelling showman during 1897, also writing The A.B.C. of the Cinematograph, the first British book to be published on the new phenomenon. In 1898, with his cousin Monty Wicks, he joined Charles Urban at Maguire & Baucus in Warwick Court, a firm which shortly afterwards changed its name to the Warwick Trading Company. His first film for them was of that year's Oxford and Cambridge boat race, which he had developed at Alfred Wrench's shop at 50 Gray's Inn Road.